Can you believe that the year 2017 is over? I feel like this year flew by. I have great things in store for you, my dear readers, in the New Year 2018! 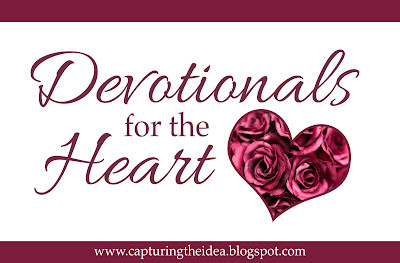 One of those great things is a NEW devotional series called "Devotionals for the Heart". Every Monday/Wednesday/Friday of each month in the New Year 2018, a devotional written by my fellow writers will be published on this blog. Each writer has a wealth of experience in thier career field. Some are authors, others are bloggers, editors and journalists but each person felt led by God to participate in this new devotional series! I hope that you will enjoy reading these tri-weekly devotionals. I pray that God will use each devotional to bless your heart. Here's to the New Year and "Devotionals for the Heart"! Already Christmas decorations appeared wrapped around the old fashioned lamp posts and garland wound with Christmas lights loop along the shop eaves. The Island closed at the end of October, but that didn’t discourage visitors. Many enjoyed coming to the Island with fewer tourists and at a time that seemed more like a real town from the past—Victorian homes, horse and buggies, bicycles, and forts from the Revolutionary War and the War of 1812. Her stomach growled as she admired the Mustang Lounge’s Christmas lights ahead of her and smiled with the thought of finding food. Since the lights were on, she assumed they were open. When she reached the door, lights inside greeted her, and she stepped into the warmth and the scent of food. A waiter motioned to an empty table nearby, and she slipped off her jacket and hung it on the back of the chair before sinking into it. When the waiter handed her a menu, she perused her options and settled on a Mustang Chef Salad with ham and turkey and all the fixings. The waiter returned with a glass of water, a cup and carafe of coffee. He eyed her, and she nodded. “Yes, regular black, and thanks. She ordered the salad, and then sipped the hot coffee as he headed away. Her gaze drifted to the old hewn wood walls and areas covered with logs, she guessed they had been cut from the Island trees. Much of the Island remained woods with dirt roads winding through to various historical locations. The only thing that ruined the moment was her concern for Carol. A long sigh emptied her lungs, and she pulled out her phone again and hit Facebook. She scanned the messages of people she knew and most whom she didn’t but had accepted as friends. The idea made her grin. She lifted the coffee again, feeling the swirl of warmth rising from the cup and took another sip. 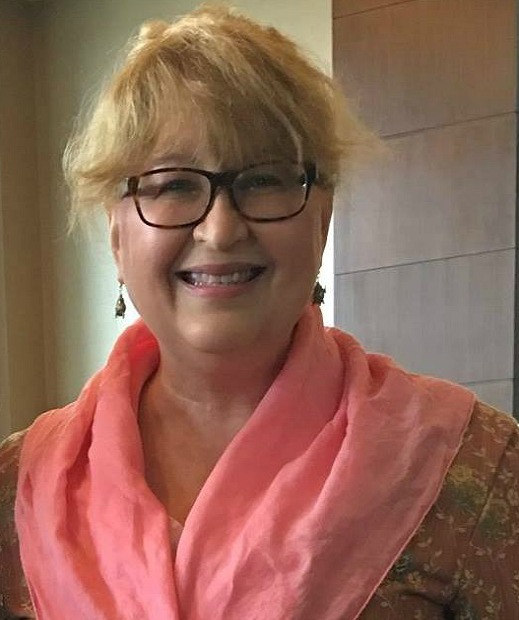 Best-selling and award-winning novelist of sweet and inspirational romance, Gail Gaymer Martin has 79 published novels and over four million books sold. Her novels have won numerous national awards, including: the ACFW Carol Award and two RT Reviewer’s Choice Award. She is the author of Writer Digest's Writing the Christian Romance and a founder of American Christian Fiction Writers. 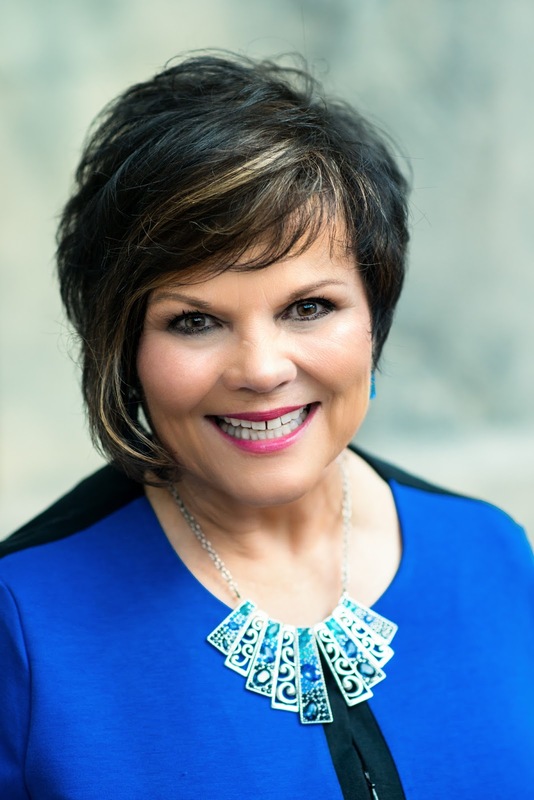 Gail is a keynote speaker at churches, civic and business organizations and a workshop presenter at conferences across the U.S. She lives with her husband Bob in Sedona, AZ. 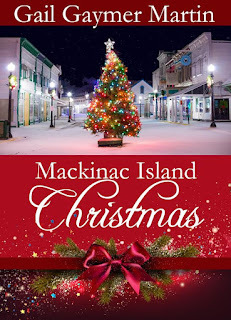 Blurb for Mackinac Island Christmas: Josie Ryan arrives on Mackinac Island, looking forward to the Christmas season in the quaint setting with no automobiles and a back-in-time aura, but she learns that her longtime friend has to cancel her trip due to a family emergency. Disappointed, Josie decides to stay the day and then cancel her trip since it’s no fun being alone. But her plans change when Chris Barnes, visiting his grandfather, comes to her aid and offers to show her the sites. When she learns that Chris is raising his deceased brother’s child, she is touched. Amid snowball fights, snowmen, and snow angels, Josie’s life changes when she falls in love with the little girl, but Ellie wants a mommy. Even though Chris is a great guy with wonderful attributes, Josie has absolutely no plans to marry, or can this four-year-old change Josie’s plans. "I enjoyed this book and stayed up all night to finish it! I fell in love with the characters and hope there is a sequel to it! 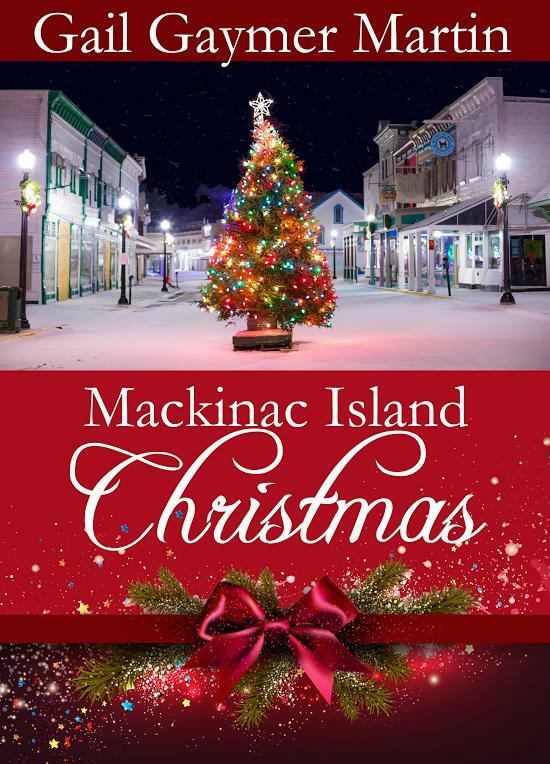 I love Mackinac Island so this book brought back many memories." Sometimes we can sanitize the words in the Bible so much that we don’t get their true meaning. We do this all the time when we read of Job’s sufferings, of Joseph of the Old Testament while he was in prison, and even of Jesus and the crucifixion. And yes, with the Christmas story. Shepherds were the lowest of the low in Biblical times when it came to social position and the ability to rise to prominence in the community. We even see in the story of Joseph in Genesis that they didn’t sit with other people (the Egyptians made his brothers sit at a separate table), and the pharaoh suggested Joseph give them land away from everybody else. And yet God chose to announce the birth of His Son to such ones as these. What was He thinking? That we’re all outsiders when it comes to the Kingdom of Heaven? That we are all smelly and dirty before Jesus cleans us up? That we’re all in the dark? As we think of the Christmas story this year, let’s pay attention to all the players—including those not welcome in the presence of a King—which would be all of us. And let’s give thanks that we are now not only welcome, but encouraged to come in boldly. Donna lives in Denver with husband Patrick, her first-line editor and biggest fan. She writes historical suspense under her own name, and contemporary suspense under her alter ego of Leeann Betts. 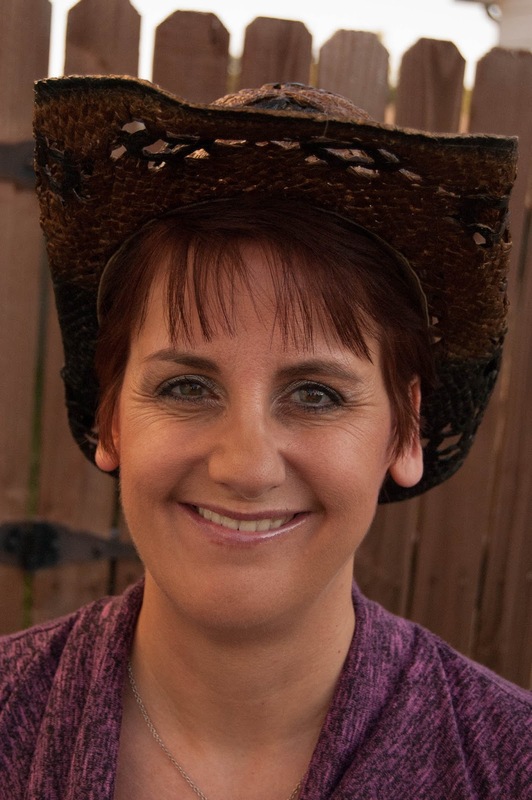 She is a member of American Christian Fiction Writers and Sisters In Crime; facilitates a local critique group, and teaches writing classes and courses. 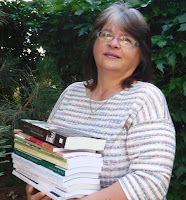 Donna is also a ghostwriter and editor of fiction and non-fiction, and judges in a number of writing contests. She loves history and research, and travels extensively for both. 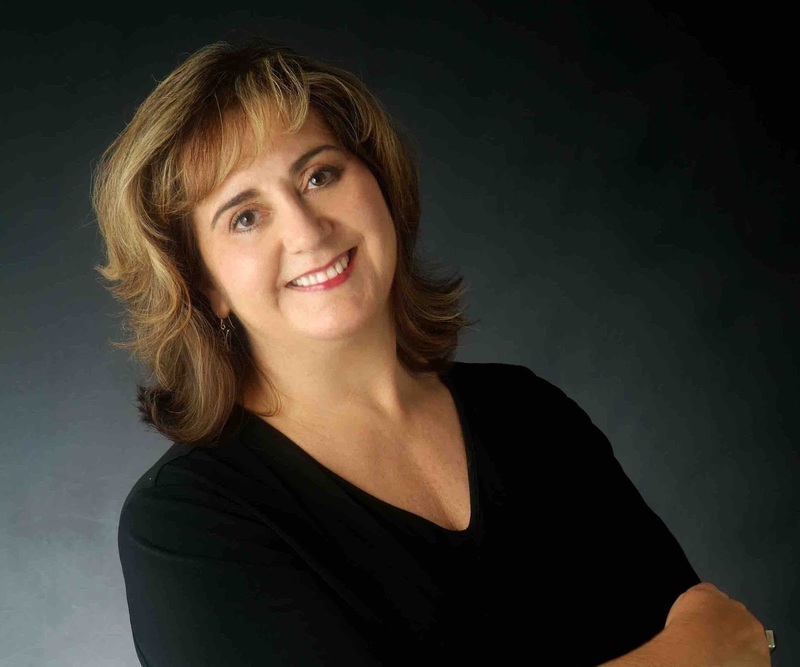 Donna is proud to be represented by Terrie Wolf of AKA Literary Management. I take a deep, expectant breath as I wander into my building's upstairs lobby. It's a quiet old room—full of big windows, overstuffed chairs, and afternoon sunshine. I imagine there was a time when this was called a "parlor" back in the day when a seventeen-story building marveled as a "skyscraper." Warm sunshine greets me, but the promising solace and silence is broken by the presence of a large—no huge—green lizard. What? Who left their miniature dragon out in the sun? It's been one of those days. Actually, it's been one of those weeks, and I wanted some peaceful time to sit and knit in my favorite hiding spot. "Now there's something you don't see every day," I quip, mostly to hide my annoyance. "A sunny day in Chicago in December?" a deep voice with a British accent calls from behind the high-backed chair that is usually my favorite perch. "It's bloody arctic out there." "Actually, I was talking about your lizard," I reply. "And we have lots of sunny winter days in Chicago." I walk farther into the room as a pair of jeans and black boots—both looking expensively distressed—come into view. "You know he's illegal, don't you?” I advise. Trust me, if pets were permitted in this building, I'd have adopted a herd of cats by now. He leans around the chair back to look at me. I've never seen blue-black eyes like that before. They're striking. Stormy and intense under that mop of tousled black hair. There's a carefully calculated wildness to this guy's appearance that makes me wonder if the lizard is a beloved pet, or just the perfect shock-value accessory. He reaches for the big green beast with the blatant affection my grandmother shows her cats. Definitely pet. Weird pet, but beloved. Still illegal, either way. "Marilyn has a special dispensation." The hundred-dollar word makes me laugh. "I thought only the Pope could give dispensations." "Well, evidently the maintenance man can as well, provided you plunk down an obscenely large pet deposit." Lou? Our super has all the compassion of a red-light camera. That must have been a hefty sum. "Marilyn, huh? She like the sun?" "It's a must-have for iguanas. They get sick if you don't give them enough. That wasn't much of a challenge in L.A., but here..." he scoffs. I sit down in the other high-back chair. The pair of chairs face the set of deliciously big windows that make this room the haven I often seek. It's the tenth floor, so the height helps me to remember the rat race down on the street isn't all there is to life. When you've got a job that's a one-hundred-percent uphill battle, you've got to do a little "mood maintenance." A lot, actually. Usually, an hour of quiet—maybe even prayerful—knitting in this sunny space is enough to recharge my batteries. I came up here for "Be Still My Soul," and wound up with "Animal Planet." Still, friendliness counts for something so I ask, "You're new here?" Not "spending the holidays," but "an extended stay." There's just enough edge to his words to tell me there's a story there, but he doesn't elaborate. Do iguanas bite? I can't remember, so I chance it and extend my hand anyway. "I'm Zoe." He starts to extend a hand—one with a really interesting silver ring, then freezes mid-gesture with a look of alarm on his face. "Zoe what?" Do British introductions require last names? "Zoe Walters," I reply slowly, wondering just how bad it would look to retract my hand. "Oh," he gulps, eyes wide, "you're her." The hand that ought to be shaking mine runs through his hair, while Marilyn's big froggish eyes roll to me with such a snide expression that I brace for dragon smoke to shoot from her nostrils. "I'm who?" I ask, stunned by his reaction. "From the thing," he says, waving his hand, "at the museum. The class." Almost everyone in the building knows I run The Brick House, a neighborhood arts program a few blocks away. I know, because they all wonder how I can afford to live here on a not-for-profit salary, and most of them aren't particularly subtle about how they ask. Grandma—the one with the cats—helps my sister and I hold down the cost of our apartment here. Not that it's any of their business. Nor is it Mister Lizard Guy's, who still hasn't told me his name or why mine is such cause for alarm. Oh, you've got to be kidding me. I don't know why I didn't figure it out immediately, except for the fact that I never in a thousand years dreamed Nigel Langdon would be living in my building. I pictured Nigel Langdon a whole lot different than how he actually looks. "You're Nigel Langdon?" Oops, probably shouldn't have asked that with quite the air of surprise I just did. One ought to treat the famous television animator recently down on his luck with a bit more class than a shocked American question mark. Zoe Walters pours her heart and soul into the community arts center she runs. Her kids could benefit so much from the brilliant talents of animator Nigel Langdon—if he weren’t such a legendary grump. The next six weeks of his artist-in-residency look like they’ll ruin Zoe’s Christmas for sure. And certainly, things get off to a rocky start until Zoe discovers the great big heart—and the deep hurt—Nigel’s been hiding under that crusty exterior. It turns out Nigel can see through to Zoe’s deepest wounds as well. When the arts center is threatened, Nigel and Zoe come together not only to save the organization, but to discover a love and the brilliant Christmas no one ever expected. 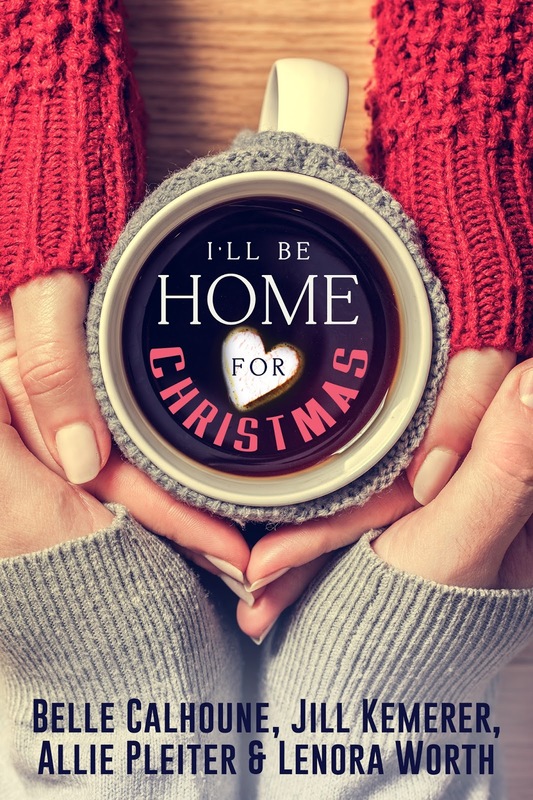 From small towns to the larger city of Chicago and from first impressions to first loves, I’ll Be Home for Christmas includes for novella collections to warm your heart. Even though each of the stories in this collection is standalone (which go with each author’s separate book series), the collection is delightful and fun. From two people pretending to be together and a matchmaking relative, an ex-NFLer, ex-convict who wants to make a difference in the lives of young people but doesn’t feel worthy of the job, a famous cartoonist who has fallen in the public’s eye and takes an artist-in-residency position in Chicago, and first loves who are tricked into spending the holiday in Florida, each of the characters may just get more than they ever dreamed of for Christmas. Filled with hope, family, friendships, and some laughter, I’ll Be Home for Christmas embodies what Christmas should look like. It’s never about the gifts under the tree but the relationships around the table. ~Review written by Suzanne Waltner on Amazon. 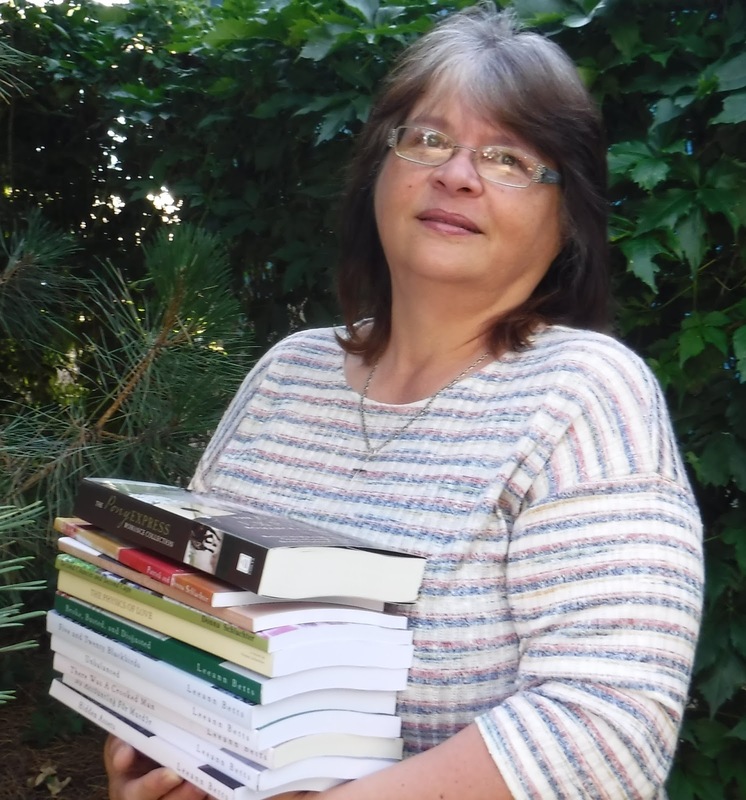 Author bio: An avid knitter, coffee junkie and unreformed chocoholic, Allie Pleiter writes both fiction and non-fiction working on as many as four novels at a time. The enthusiastic but slightly untidy bestselling author of over thirty books, Allie spends her days writing, buying yarn, and finding new ways to avoid housework. Allie hails from Connecticut, moved to the midwest to attend Northwestern University, and currently lives outside Chicago, Illinois. The “dare from a friend” to begin writing has produced a seventeen-year career with over 1.3 million books sold. 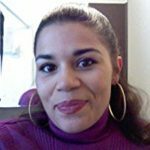 In addition to writing, Allie maintains an active writing productivity coaching practice and speaks regularly on faith, the creative process, women’s issues, and her very favorite topic—time management for writers. Visit her website at www.alliepleiter.com to learn more. Feeling awkward at having to let himself into a cabin he was unfamiliar with, he opened the door and stepped inside. He didn’t immediately see Miranda, or the twins, either, for that matter. His attention was instead captured by the insane display of Christmas decorations, red and green, silver and gold, everywhere his gaze landed. It looked as if the North Pole had exploded in her living room. An enormous eight-foot Christmas tree stood in one corner, the flashing angel topper just barely clearing the ceiling. Presents wrapped in colorful aluminum paper were piled high underneath the tree. She’d arranged a large Nativity set, complete with a stable and an angel proclaiming Peace on Earth, on the end table. Shiny red and gold garland adorned every wall, with evergreen garland gracing the fireplace where the stockings were hung with care, as the poem went. Homemade stockings with Hudson and Harper’s names written in flourishes of red and green glitter glue. This woman was clearly obsessed with Christmas. It took him a moment to focus and find Miranda. He supposed he’d expected to find her changing a diaper or feeding the twins as the reason she couldn’t answer the door. Instead, she was right there in the middle of the living room, stretched out on her stomach underneath a card table that she’d draped with sheets, holding a flashlight she was beaming on a picture book as Harper and Hudson cuddled on either side of her. Of all the crazy, unexpected scenarios, this one took the cake. Or the Christmas fruit cake as the case might be. The tent was ingenious. She’d used stacks of hardback books to fasten the edges of the sheet to the sofa on one side of them and an armchair on the other, with the card table holding up the structure in the middle. She shined the flashlight at his face, momentarily blinding him, and he held up a hand to block the light. He was astonished she recognized him. He’d added a few inches to his frame in the years since they’d seen each other last, not to mention a few pounds. Of which he was very, very proud. “Well, Uncle Simon, you’re more than welcome to join us.” She shifted herself and the twins to the side to make room for him in the tiny, strung-up tent. “I’m welcome to—” he repeated. He’d walked into her house out of the blue. She had no idea why he was here, and yet she’d immediately offered him the opportunity to join in their…adventure. "What are you doing here, by the way?" she asked curiously. Her offer completely threw him off his game, and for a moment he was fairly certain he was gaping and couldn't remember his own name, much less why he had come. Eventually, he shook his head. There was no way he was going to get his large frame under that small table, no matter how hard he squeezed. And honestly, he didn’t even really want to try. She flashed the cover of the book at Simon, as if finding out what she was reading would somehow convince him to crawl in. “We’re reading Little Red Riding Hood. Hudson likes the wolf, don’t you, buddy?” she asked the baby, making a growling sound and tickling his tummy. Hudson squealed and giggled happily. Simon balked at her words. He wasn’t being stubborn. He was being practical. And this was definitely not how this confrontation was supposed to go. This whole scenario was mind-boggling. “But this is—” he started to say. She raised a jaunty, dark eyebrow. There was no question about it. She was outright daring him to make a fool of himself with the twinkle in her pretty hazel eyes. There was no way he was going to get out of this with his dignity intact. But he’d never been the type of man to walk away from a challenge. Grumbling under his breath at the ignominy of it all, he dropped onto his belly to army crawl into the mixed-up files of Miranda’s imagination makeshift dwelling. 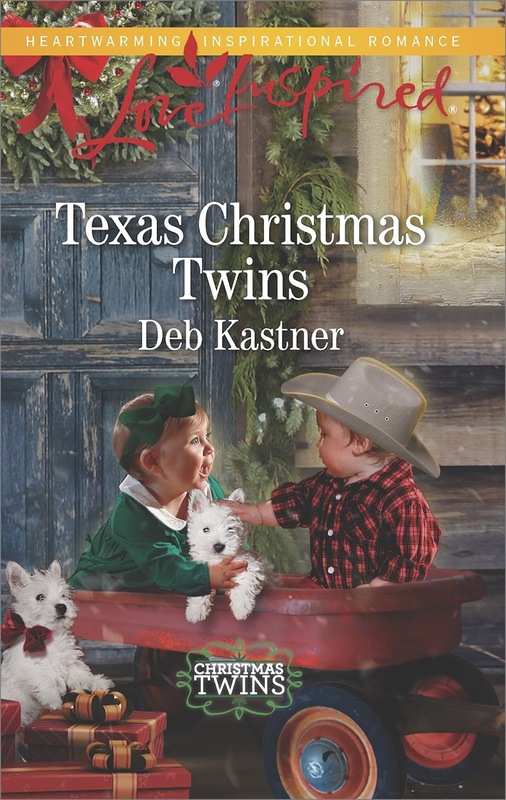 Publishers Weekly bestselling and award-winning author with over 1.5 million books in print, Deb Kastner writes stories of faith, family and community in a small-town western setting. She lives in Colorado with her husband and a pack of miscreant mutts, and is blessed with three daughters and two grandchildren. She enjoys spoiling her grandkids, movies, music (The Texas Tenors! ), singing in the church choir and exploring Colorado on horseback. Miranda Morgan’s Christmas will be twice as busy now that she’s guardian of her sister’s sweet twin babies. But the celebrity photographer is happy to trade a glamorous LA lifestyle for motherhood in her small hometown of Wildhorn, Texas. Unfortunately, the twins’ handsome godfather, Simon West, is unconvinced. The brooding rancher isn’t thrilled about letting sunny, spontaneous Miranda into his carefully managed world. Though they disagree on almost everything, Simon and Miranda discover common ground as they work to make the twins’ first country Christmas cozy and bright. Could this holiday transform Miranda and Simon’s tentative friendship into a forever love? It’s impossible to approach Christmas apart from what’s going on in our lives—good and bad. But the wonder is that Christmas is God’s answer to what we’re facing. Do some Christmas memories bite into your soul like the springs of a worn-out chair in need of restoration? · An uncle refuses to come to the holiday celebration if his brother will be there. 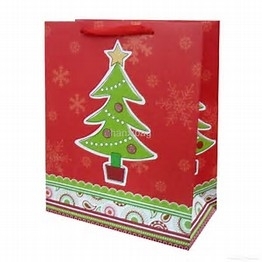 · Christmas celebrating has lost its luster in light of the medical crisis the family’s facing? · Memories won’t be the same in the assisted living center that now substitutes for the family home that once served as the gathering spot? · Unforgiveness is an unwelcome guest at every holiday meal? · As in “The Heart’s Harbor” in A Door County Christmas, the relationship you thought was solid has disintegrated? · Imagine how Christmas festivities with a sweet Babe in a manger would feel to a couple who’s lost a child that year. · How offensive Christmas lights must feel to someone whose world is darkened with depression. 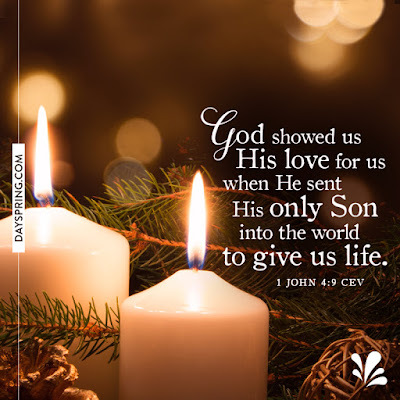 · Television commercials about loving families gathered around a feast spread on the table before them must grate on those without a family or food or shelter, or whose family is estranged or bickering or missing a loved one. We all know people who dread the holidays, who cringe at the mention that Christmas is coming. Many don’t necessarily approach Christmas with uninterrupted joy and unshadowed peace, with excitement and anticipation and an overflow of love. What was really happening in the region around Bethlehem when Jesus appeared on the scene? Jesus was born into a political firestorm that threatened the lives of babies like Him and sent waves of fear through their parents. Herod was ordering the murder of baby boys two years and under. Travel was hard and fraught with danger. Thieves abounded. Racial tension. Family heartaches. Financial difficulties exacerbated by taxation. Homelessness. The world had been waiting for answers to prayer for hundreds, thousands of years. The same kind of chaos we see around us now. The Christmas card Bethlehem picture doesn’t show the armed guards, the fear, the hopelessness. But that’s exactly why Jesus came. Because the world—and we—are a mess without Him. In “The Heart’s Harbor” novella that kicks off the A Door County Christmas novella collection, Amanda is reeling from the realization of how hollow that Christmas promised to be for her. But although drafted into a task for which she felt ill-suited—coordinating the legendary Christmas Tea for the Heart’s Harbor Inn—she soon found that it was in serving that she got her feet underneath her again. And that finding someone with whom she could serve side-by-side filled a gaping hole. The crisis of her Christmas disappeared as she served others and turned her attention away from her heartache to the needs around her. Discovering someone else who joined her in that adventure was an unexpected Christmas gift. So much about the first Christmas was unexpected. The world had waited so long for a redeemer. Until Christ was born, hope was a promise, but an intangible. We humans have always had trouble with intangibles in our relationships. SHOW me I can trust you. Hope was born in a tangible way at Christmas. Jesus’s birth proved once again that God keeps His promises—all of His promises. Hope soars when we grasp that concept. Life can be hard, harsh, hurtful, but still hope-hemmed. The Christmas story we’ve come to embrace and honor isn’t rooted in applauding winter or venerating a generous St. Nicholas. Its foundation is an historic moment—when God became Man and dwelt among us. It’s recorded for us in Luke chapter two in the Bible. But more than that, it’s imprinted on our grateful hearts. 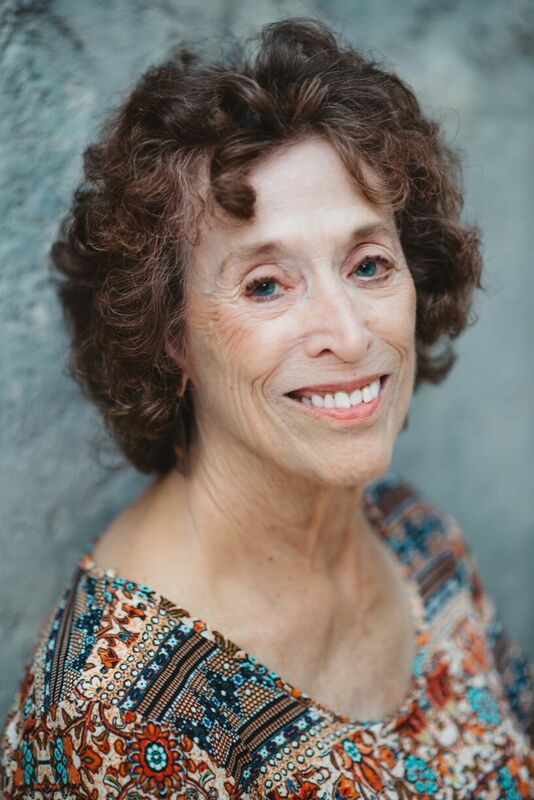 Cynthia Ruchti tells stories hemmed-in-hope through award-winning novels, nonfiction, devotionals, and through speaking events for women and writers. She is the professional relations liaison for American Christian Fiction Writers, connecting the organization with retailers, libraries, book clubs, and readers. Cynthia and her husband live in the heart of Wisconsin, not far from their three children and five (to date) grandchildren. 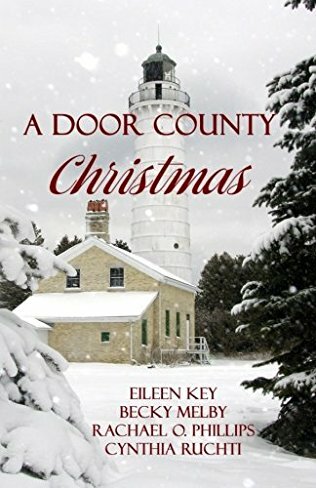 Amanda Brooks retreats to picturesque Egg Harbor in Door County, Wisconsin, to escape an empty holiday season in her Chicago apartment. Peace on earth is what she needs but instead finds herself in charge of the Heart's Harbor Victorian Inn and its legendary Christmas Tea. Quirky guests, a bare-bones budget, an antisocial puppy, matchmaking owner, and the innkeeper's match-resistant son, Jordan, deepen Amanda's doubts that Christmas and love have anything in common. The queasiness in Louis’s gut had nothing to do with this train but everything to do with it rocking along toward their final destination—his nightmare. He drew in a deep, steadying breath, and touched the small Bible in the pocket of his best wool suit. “Ever ride in the luxury car before, Mr. Penwell?” Andrew Ellison’s deep voice held conflicting notes of sympathy and humor. “It’s certainly well-appointed, Mr. Ellison.” On the far wall, a built-in buffed-to-a-gleam cherry wood cabinet housed a full array of crystal and silver pieces. Crystal brandy snifters and liquor bottles sparkled as they rocked slightly in the high-sided, mahogany tray atop the counter. “Perhaps it’s just the motion of the train giving you that sallow look.” Mr. Ellison’s pipe smoke drifted in Louis’s direction, bringing to mind the scent of his father’s favorite tobacco, a rich Virginia blend harvested in the area where the prominent Penwell family’s plantations had dominated for centuries. “I’m not accustomed to traveling much by rail, despite my job.” Louis grabbed onto the excuse. Or not. His mouth grew dry. He’d not heard back from Cora about his proposal, and now he was on his way there. What if she cashed the check and was even now headed out to South Dakota? Everything had happened so quickly, he’d not had time to do much other than pack his belongings. Cora was not an impulsive woman, from what he could discern in the letters. At least he’d gotten a telegram sent. Louis’s gut clenched. Hometown? He had no hometown. “The home where I lived in Salt River burned, sir.” Not that it mattered, since he’d lost their temporary home when his father had drowned in the river. They’d moved to Salt River after his mother died and Father had finally ceased gambling and taken a job at the mill. But then his father died, too. And just recently, Louis’s benefactor in Michigan, Mr. Welling, also passed away. Except for his friend, Cora, Louis truly was alone in the world. “Haven’t been back since I left.” Louis’s gut began to roil, and the train’s movement shuddered through him. Mr. Stewart had always seemed so fond of Louis. “I have to admit, it came as a surprise.” Louis would rather have remained where he was and had Cora join him. He prayed Cora had received his telegram. If only his supervisor had realized that he was sending him back to the one place he’d vowed never to visit again, to never set foot in again, much less in which to reside. When Louis had learned Cora corresponded from the Poor House outside Shepherd, he’d vowed that one day he’d rescue her from the place. Why God? Perhaps this disruption was for Cora. But would the townsfolk accept her as a prominent railroad man’s wife or still see her as the woman from the Poor Farm? Would they recognize him and view him as the boy from the Poor House, with no family to claim him? A boy called Louis Smith because his father wouldn’t use his Penwell name. ECPA-bestselling author Carrie Fancett Pagels, Ph.D., is the award-winning author of a dozen Christian historical romances. Twenty-five years as a psychologist didn't "cure" her overactive imagination! Carrie loves to read, bake, bead, and travel – but not all at the same time! A letter for Sonja’s deceased friend arrives at the post office in Michigan, and with it a proposal. With her father threatening to kick her out of his home, Sonja impulsively responds, offering to travel west to be a substitute bride. 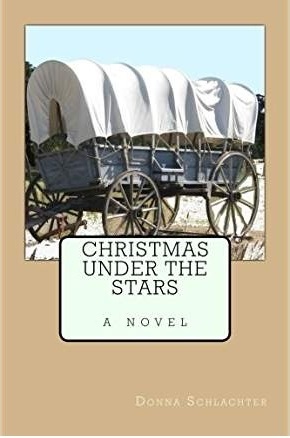 At the same time, Louis’s railroad promotion sends him back to Michigan, the one place on earth he’d hoped to never return—where Christmas past was full of pain. A mysterious stranger leaves him marked copies of “A Christmas Carol” as he considers romancing Sonja in Christmas present. Will Louis discern the best choices for Christmas future? Does it include the Poor House, again? Even so—will God bring healing and love to him this year? 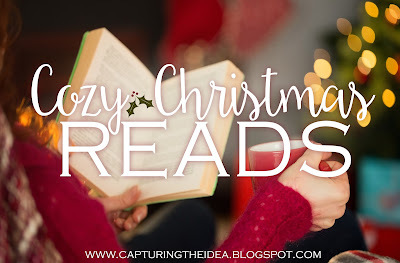 As always, Carrie Fancett Pagels pens another delightful, heartwarming story of faith, hope, and healing—intertwining A Christmas Carol and It's a Wonderful Life! With a compassionate hero and heroine—and endearing secondary characters who will cause your heart to melt despite the scenic white carpet of snow and frosted evergreen trees—the magical sights and scents of Christmas come alive in The Substitute Bride! 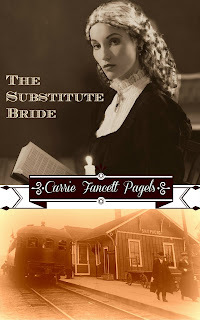 Shepherd is a real town in Michigan where its townsfolk keep their history alive to this day, and Carrie Fancett Pagels gives us a sweet taste of what it may have been like...in Christmas past. Note from Alexis: Welcome to my blog's stop on Mimi Milan's book tour for "The Angel Paws Collection"! It's a book containing three novellas that were each written by Mimi. I hope that you will enjoy this feature and my review of her stories. To fight… or fall in love? The only thing Tanner McKoy wants is to disappear into the backwoods of North Carolina, hopefully forgetting about his tour in Afghanistan. However, forgetting seems improbable. And disappearing is impossible when a determined grad student uses her new shelter rescues to track him down. After a miserable breakup with her fiance, Eva Perez returns to grad school to complete her thesis and become a physical therapist. Unfortunately, that means assisting on several case studies – one of which includes a surly army veteran who refuses help. How can she win a battle with someone still stuck in combat mode? My Review of Scent of an Angel: This was my favorite story in the collection! The author does an excellent job with character creation and knows how to set the scene. The characters were likeable, challenging, multi-layered and amazing! I loved the way the author told this story and brought the hero (Tanner) and heroine (Eva) together. It was a perfect portrayal of the power of love to heal hurting hearts and rejuvenate the body. Eva is just what the doctor ordered to help Tanner heal completely and Tanner is just the type of man that Eva needs. This story was more than romance, it was about relationships and what happens when you trust God (and a meddling Mom) to work everything out for your good. *Sweet Contemporary* An explosion during a tour in Afghanistan took Rhett Marshall’s sight, but not his mind. Too bad his family can’t seem to grasp that fact. He’ll do anything to regain control over his life again… even take drastic measures like marrying a complete stranger just so he can call his own shots. Luciana Lopez came to the United States on a student visa – which is about to expire. Unfortunately, finding an employer to petition for her so she can stay in the country has proven impossible. Could marriage to a desperate army veteran be the answer to her immigration problem? Enjoy the second novel in the groundbreaking, heartwarming series, Angel Paws Rescue, that donates twenty percent of proceeds to help army veterans and shelter animals. My Review of Touched by an Angel: I enjoyed this story because it was the perfect balance of being sweet on the elements of love yet strong in addressing the real-life issues of racism and discrimination. The author painted a vivid and believable picture of her main characters. The dialogue was crisp in some parts and engaging throughout the story. As a reader of color, I empathized with the characters of color when they faced race-related roadblocks and other ethnic issues that people of color know so well in the real-world. It was refreshing to see some of these issues addressed in Christian fiction because that is rare. So it was great that this author brought a variety of real-world experiences into her fictional story world. Her honesty in storytelling made this novella all the more engaging. Fast food, fast cars, and fast women… Eddie Rivera, a Chicano rock star hoping to break into the American music scene, has always lived life in the fast lane. The last thing he planned on was a country cutie with the belief that a guy “won’t buy the cow if he’s getting the milk for free.” Can a shot at her lifelong dreams and a rescue kitty help him change her mind? From boys to battlefields, Rachel Linden may have lost her hearing but she has never lost a fight. Of course, she’s never had her dream of singing dangled in front of her either. Is there a strategy she can employ to win a war of wishes… without losing her heart? My Review of When Angels Sing: As a woman who as a little girl, dreamed of marrying a musician man who can sing, the love story between Eddie and Rachel made my heart smile. I liked the curveballs that the author threw into this story. You'll have to read it to find out what they were but all I can say is that this story will keep you turning the page, wanting to know what happens next! Rachel is spunky yet sweet. Eddie is wounded but wonderful. Even the secondary characters have a life of their own! My only drawback of this story is that the pacing of the plot seemed to move too fast. But overall, it's a great story! *Celebrate Lit provided me (Alexis A. Goring) with a complimentary copy of "The Angel Paws Collection". My opinions in this book review are my own. Mimi Milan is an award winning, bestselling author of both historical and contemporary romance. Currently pursuing her MFA in Creative Writing at Queens University, she spends most of her time in the suburbs of Charlotte, crafting stories her family and imaginary friends inspire. I have to be honest. I don’t know why I wrote Scent of an Angel. The journey first began when I was asked to join a box set of sweet contemporary romances with seven other authors. Eager for a new experience (my first box set), I immediately agreed. However, I wasn’t sure what I would write. I had never written a sweet contemporary before – only historicals. While clean and even inspirational, my stories were all full of action and suspense, too. That didn’t exactly sound like “sweet contemporary” to me. So, I set out to find stories that would draw inspiration. At the same time, I was assigned to read The Things They Carried by Tim O’Brien. (Did I mention I’m now in grad school?) I couldn’t get the story out of my mind. I kept dwelling on all the pain and suffering soldiers must endure in order to keep the rest of us safe here at home. Their pain doesn’t end, either. Many return to the States with both physical disabilities and mental illnesses that most civilians couldn’t imagine living with. Right then, I knew I wanted to do something that helped the ones that made it back to us. Since the books in my first series, The Jericho Resistance, donates funds to fight against human trafficking, I liked the idea of copying the same model to help support our veterans. That’s when Tanner McKoy and Eva Perez came to life, driving the story and my mission onward. Touched by an Angel and When Angels Sing were natural follow-ups for the Angel Paws Rescue anthology. Today, I’m pretty fortunate. I was asked to join yet another series, The Twelve Days of Christmas Mail Order Brides. So, I’m about to finish up edits on my contribution, The Dancing Lady. I’m at my kitchen table in my nice, warm two-bedroom home with a cup of coffee and a muffin from my favorite local bakery. The children are still asleep, making the house unusually quiet. Looking out the frosted window at a yard lightly dusted with white, I feel safe and at peace. All is right in my small corner of the world. I thank God for that. I thank Him for the veterans that make it so. To celebrate her tour, Mimi is giving away a grand prize of The Angel Paws Collection Celebration Tour Giveaway!